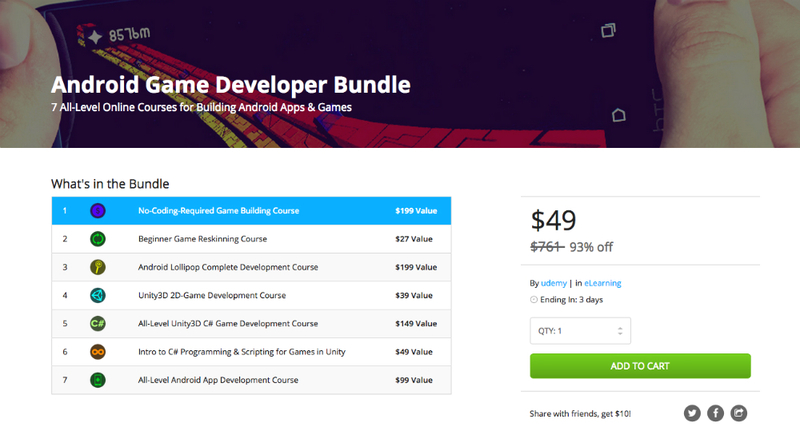 Currently available in the DL Deals Store is a Android Game Developer bundle, priced at $49, 93% off its list price of nearly $800. In this bundle, users gain access to a complete 7-course series of guides, all of which will make you the best Android game developer you can be, no previous experience necessary. In total, the 7 courses contain 500+ lectures and hours upon hours of work, including lessons on Unity 3D and 2D development, C# programming, Game Reskinning, and a whole lot more. If creating games for Android interests you, be sure to check it out.